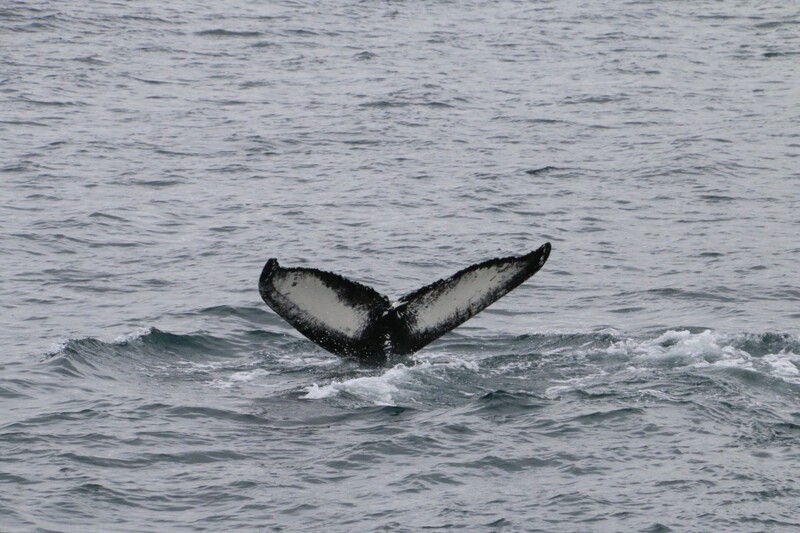 Whale watching was excellent in may with humpback whales in sight almost in all tours. Far better than last year so this season is looking very good and we are very optimistic about the months ahead as they have been the last few years 99% sightings success. 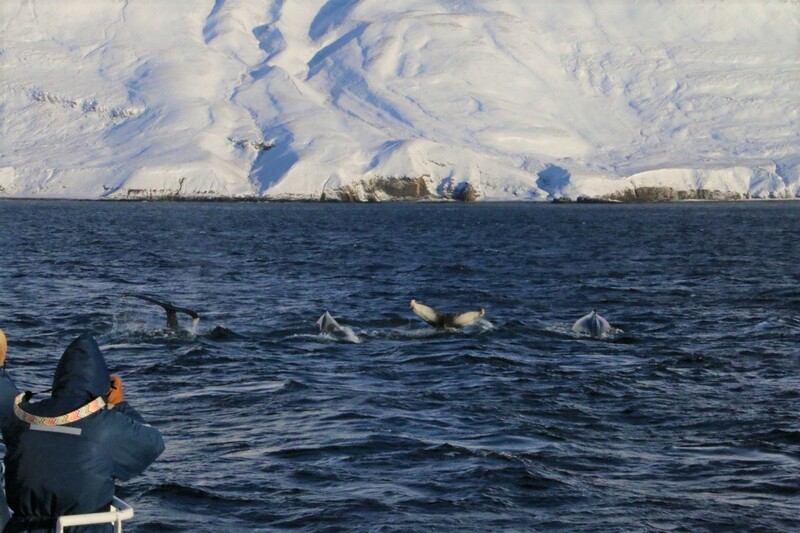 We were seeing up to five humpback whale in one tour but also white beaked dolphins and occasionally minke whales and harbour porpoise. 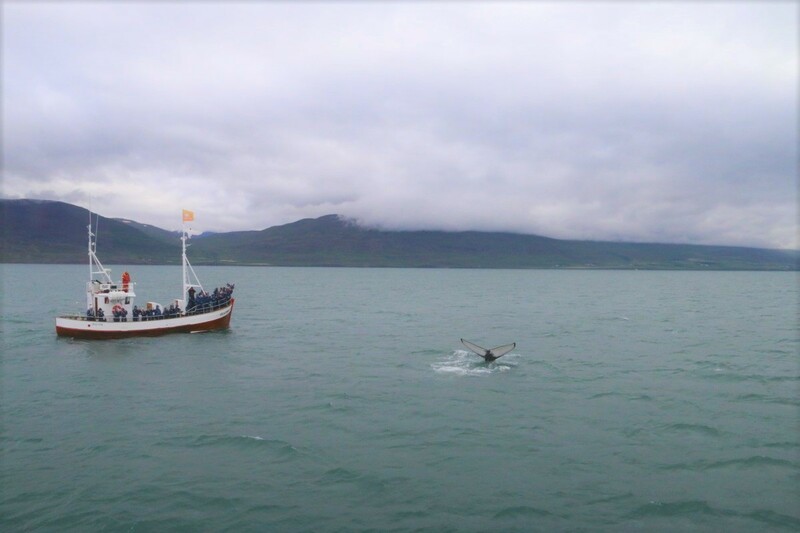 The whale watching took place very close to Dalvik most part of may or about 15 - 20 minutes from the harbour.